What to think about the Raleigh Merit 1? Or 2 & 3? I love doing reviews of cheap road bikes because I can show that cycling is not an elitist sport reserved for those who have a lot of money to spend on it. Raleigh Merit 1 is proof that you can get a decent, aluminum road bike with quality Shimano components at a very affordable price. Of course, more money will always get you more quality, better components, lower weight, and better design. But, a beginner rider does not need much more than Merit 1. This bike looks expensive, has a reasonable weight of 22.6 lbs, and offers plenty of comfort for entry-level riders who are not used to the unforgiving geometry of road bikes. Even though Raleigh Merit 1 costs just $600, it still has some great features to offer to its future owners. This bike is cheap, but it’s not cheaply made. 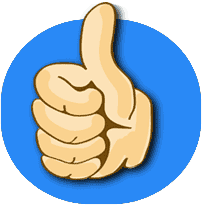 There are some things that I like very much and others that I am not too stoked about, so let’s check them out. Merit 1 is an entry-level road bike with an aluminum frame. It’s built using the famous 6061 double-butted custom formed tubing, which is most often seen on bikes in this price range. In my opinion, the frame has an excellent geometry, oriented towards comfort and longer rides. The difference between the saddle and the handlebar is not extreme, so you will have a more upright position on it. When it comes to cheap bikes, people are usually worried that low price also means low quality. Unfortunately, this is sometimes true. But, you can easily check if that’s the case by looking at components, which is where bike manufacturers usually make savings. That’s not the case with Raleigh Merit 1, which has Shimano Claris components, which are of very decent quality. This is an entry-level groupset, so you should not expect to win any races with it, but you can use it for years on regular recreational and fitness rides. It offers you 16 speeds on a 2×8 drivetrain, which is also great since I am not a big fan of 3x drivetrains on road bikes. I think the third cog is unnecessary and just adds weight. Sixteen speeds are more than enough to get you anywhere. A lot of more expensive road bikes have 700x23c or 700x25c tires. However, these are intended for more experienced riders who can keep their balance at higher speeds. Instead, Raleigh Merit 1 has 700x28c tires which are much more suitable for beginner riders, in my opinion. They will allow you to go fast on the flats, but they will provide you with added stability and grip when cornering and when riding in the rain. Moreover, they increase comfort as well, as they absorb road vibrations better. When it comes to braking, you will have Tektro dual pivot callipers and Shimano Claris STI brake levers at your disposal. We are seeing disc brakes becoming more and more popular in road biking, but they would increase the price on this set up too much. Moreover, brake callipers are enough for entry-level riders who do not do a lot of high-speed descending. Plus, they keep the weight down. Here is a quick overview of the best aspects of Raleigh Merit 1 and areas where it needs to do a bit better next time. If you liked what you read about the Raleigh Merit 1 bike and you would like to add it to your collection, there are several places where you can buy it. You can order it from the official Raleigh website, brick and mortar retailers, or other online sources. Raleigh Merit 2 is very similar to Merit 1. However, it comes with several crucial differences which are worth the extra price. 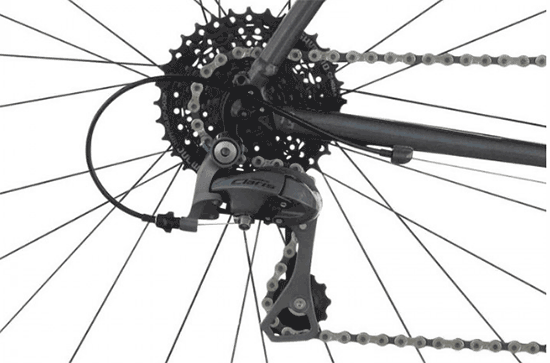 Namely, the biggest difference between these two models is that Merit 2 comes with TRP Spyre C mechanical disc brakes. Moreover, it has a better set of Weinmann XC180 rims and a better pair of Clement Strada tires. Other than that, everything else is the same. But, these improvements can make a big difference on the road. 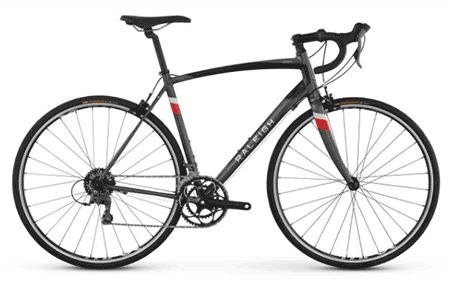 To whom: Raleigh Merit 2 is an excellent choice for riders who have additional $250 to spend and need a pair of disc brakes because they plan to ride in wet conditions or do a lot of climbing and descending. Raleigh Merit 3 has some significant differences compared to Merit 1, but it’s also a lot more expensive. If you decide to spend $1,600 on this model, you will get a lightweight carbon fork, Shimano 105 components (which are a lot better than Claris), a 2×11 drivetrain, mechanical disc brakes, and upgraded tires and rims. All in all, the price is significantly higher, but you get a considerably better bike as well. To whom: Raleigh Merit 3 is the perfect road bike for mid-level riders who want to go on long group rides, do structured training, and improve their cycling fitness capabilities.